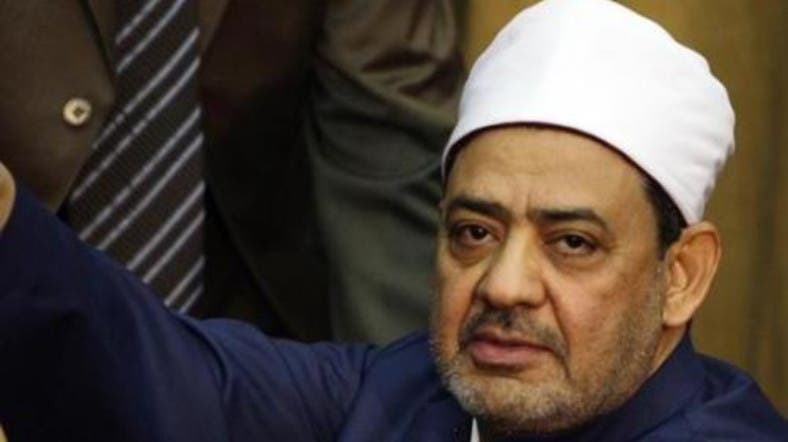 The head of al-Azhar, one of the most prestigious centers of Sunni Islam learning, on Wednesday condemned “barbaric crimes” committed by the Islamic State of Iraq and Syria (ISIS) group. Militants are acting “under the guise of this holy religion and have given themselves the name 'Islamic State' [ISIS] in an attempt to export their false Islam,” Sheikh Ahmed al-Tayeb told the opening session of a two-day international conference in Cairo on fighting extremism. “I wonder and ask why this blind division exists that has tainted Arab blood,” Sheikh Tayeb said, adding that religious, political and economic factors were behind the emergence of groups such as IS. But “some feel that our suffering is also a plot by Israel so it remains the most powerful country in the region, and that possibility cannot be excluded”, he said. Sheikh Tayeb called on the U.S.-led coalition that is fighting ISIS “to confront those countries who support terrorism financially and militarily”. The United States launched its first air strikes against ISIS in Iraq in August, and in late September extended the campaign to ISIS targets in Syria, joined by aircraft from several Arab allies. On Wednesday, the Pentagon said that Iranian warplanes had also carried out air strikes against ISIS in Iraq, although the foreign ministry in Tehran refused to confirm or deny the information. The Cairo conference, organized by al-Azhar, has delegates from several countries including Saudi Arabia, Iran and Morocco taking part.